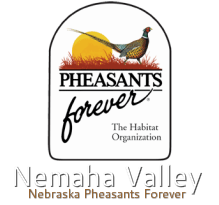 For several years, PF chapters have worked with both Nebraska Environmental Trust (NET) and Nebraska Game & Parks Commission (NGPC) to purchase and make available to landowners special habitat equipment. 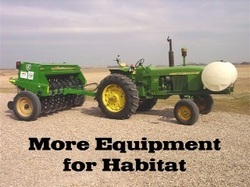 Since 1997, PF chapters have purchased 58 no-tillgrass drills to establish wildlife habitat throughout the state. This valuable piece of equipment is in short supply and often difficult for landowners to obtain. By providing access to no-till grass drills, PF chapters can help establish crucial grass, forb, and legume plantings for wildlife.